As with many old motorcycles the Moto Parilla has its high points of design & its low points. An elegant retaining solution may not be a particularly easy one to remove….. The item which assembles quickly at the factory when everything is new, special tools are to hand & the chap doing the job knows what he’s doing becomes more problematical when 50 years later a guy with no idea what he’s doing decides to employ his brick chisel & medium weight hammer (the heavy version being considered a “special tool”) to remove the aforementioned component. Unlikely you might think. Every enthusiast these days has a socket set, an impact driver & a selection of hammers waiting. 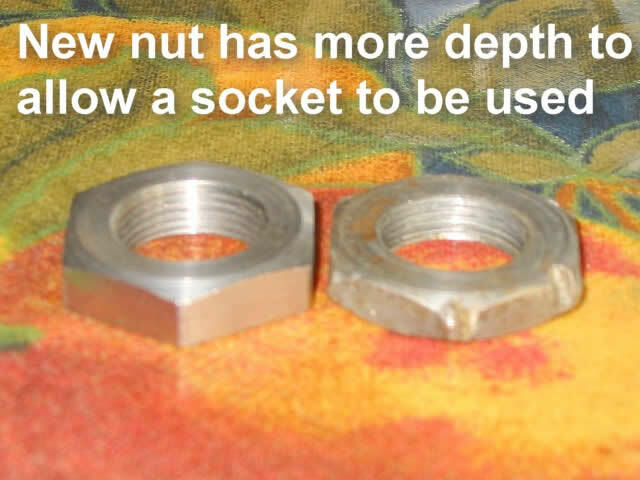 That’s true enough & whoever has those tools is probably also likely to know that when a sprocket rotates clockwise the nut holding it on doesn’t want to be loosened as the immobile rear wheel attempts to hold it stationary on takeoff as the layshaft starts to rotate – so it’s a good idea to use a left-hand thread which tightens up. Which is just what Parilla did. It seems that many of the owners of Parillas in the 60s were of the brick chisel owning variety & all knew little of left hand threads. This explains why just about every MotoParilla I’ve ever seen has a butchered sprocket nut. Varying degrees of enthusiasm were employed with the chisels – some straining to rotate a LHT nut tighter others trying “the other way” for luck – but all managed to make it impossible to fit a socket onto the slim faces of the nut. LHT sprocket nutsEven the man with the socket set could be defeated by the slimness of the nut which gives little purchase to a socket with a little “lead in” on the first few mm of its depth. I use a deep socket with the first 5mm ground off to get maximum contact by eliminating this “lead in”. The end result is that every engine I’ve done ends up using one of my precious NOS sprocket nuts & its unique locking washer partner (along with a new woodruff key) to remedy the ills caused by Brick Chisel Man. And now I have none left – nuts or washers. So I asked our Parilla fan & toolroom trained engineer, Gary Emerson, to see what he could do. The results are what we see here & he has made a small batch for me. 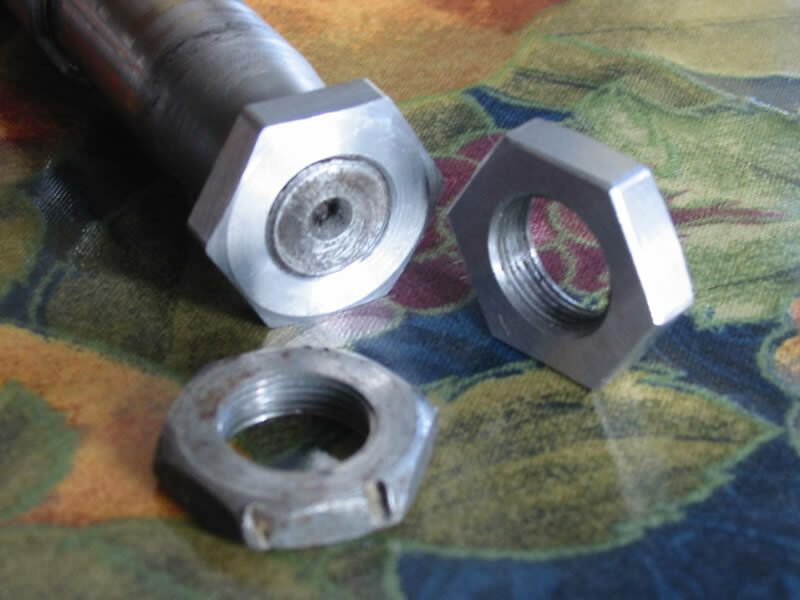 The nuts are made from the highest quality steel bar, milled to a hexagon, ground flat on the mating face & chamfered on the outer. The odd diameter LHT has been cut by use of a custom HSS tap which alone cost £80 & the only use of which is to make MotoParilla sprocket nuts. Quite a bit of machining to produce one slim nut! Gary will be pleased to supply you from the batch he has made but unless demand is high I doubt if he’ll be making a second run.